The Dunlop Sport BluResponse is all about the grip. The company claims there is no compromise on this. Against 4 leading tyre competitiors the Dunlop Sport BluResponse gives an average 2.8 meters shorter braking distance and 3 meters in the dry. 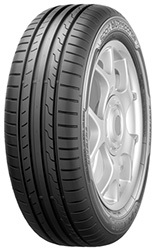 The BluResponse tyre design gives up to 30% better fuel consumption compared with it's predeccesor. The Dunlop Sport Bluresponse also handles exceptionally well in the wet. The Dunlop Sport BluResponse is all about the grip. The company claims there is no compromise on this. Against 4 leading tyre competitiors the Dunlop Sport BluResponse gives an average 2.8 meters shorter braking distance and 3 meters in the dry. The company claims there is no compromise on this. Against 4 leading tyre competitiors the Dunlop Sport BluResponse gives an average 2.8 meters shorter braking distance and 3 meters in the dry. 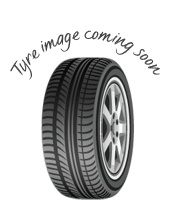 The BluResponse tyre design gives up to 30% better fuel consumption compared with it's predeccesor. The Dunlop Sport Bluresponse also handles exceptionally well in the wet.